CUSTOM WOOD BURN FOR A DOULA IN LONDON. 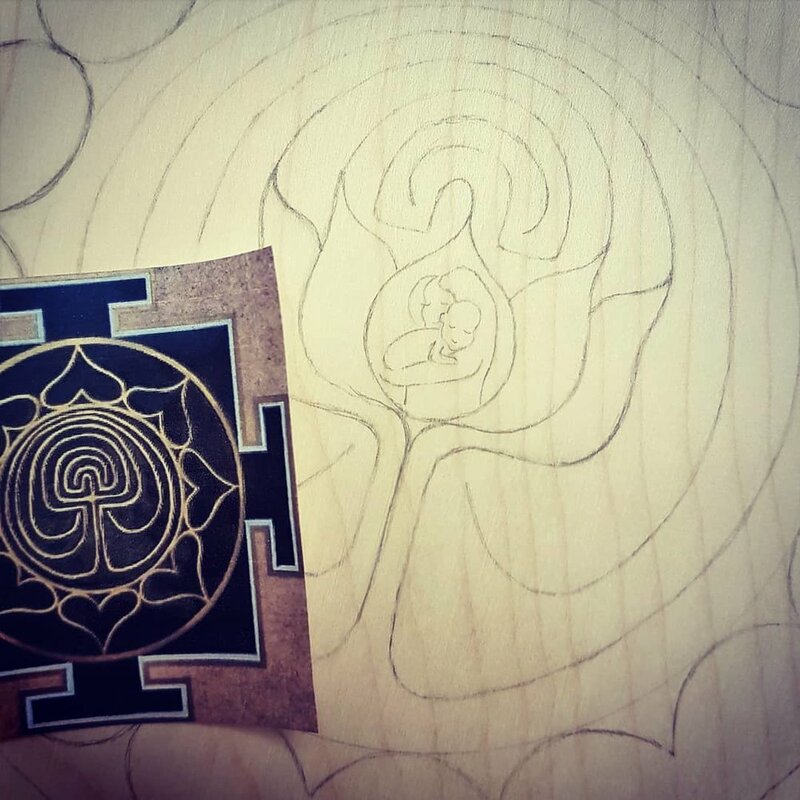 CHILDBIRTH YANTRA FOR USE IN HER WORK AS A DOULA; PROVIDING EMOTIONAL & PHYSICAL SUPPORT TO A MOTHER DURING PREGNANCY AND CHILDBIRTH. MY CLIENT ASKED ME FOR A SRI YANTRA WITH A CREATIVE TWIST. 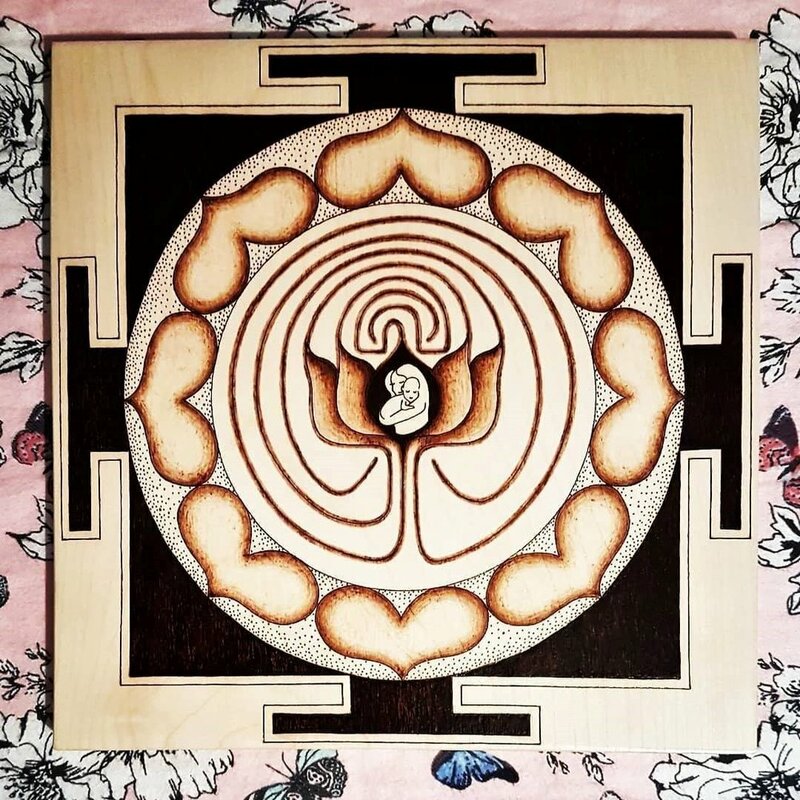 I INCORPORATED A LOTUS FLOWER INTO THE TRADITIONAL LABYRINTH PATTERN WITH A STYLISED MOTHER & BABY IN THE CENTRE.